Liberal MPs — including Prime Minister Justin Trudeau — tried for weeks to broker a compromise with Jody Wilson-Raybould over the SNC-Lavalin controversy, but the talks ultimately failed when it became clear they could not reach an agreement with the former attorney general, sources tell CBC News. Over the course of the secret discussions, it emerged that Wilson-Raybould had a list of at least five conditions that could help end the civil war that has been tearing the government apart, multiple Liberal sources say. The first three conditions involved staff changes at the very summit of the government. The sources said Wilson-Raybould wanted Trudeau to fire his principal secretary, Gerald Butts, along with Clerk of the Privy Council Michael Wernick and PMO senior adviser Mathieu Bouchard. This scandal has been eroding Liberal support since Feb. 7, when the Globe and Mail reported that Wilson-Raybould had faced inappropriate political pressure on the SNC-Lavalin criminal prosecution decision. 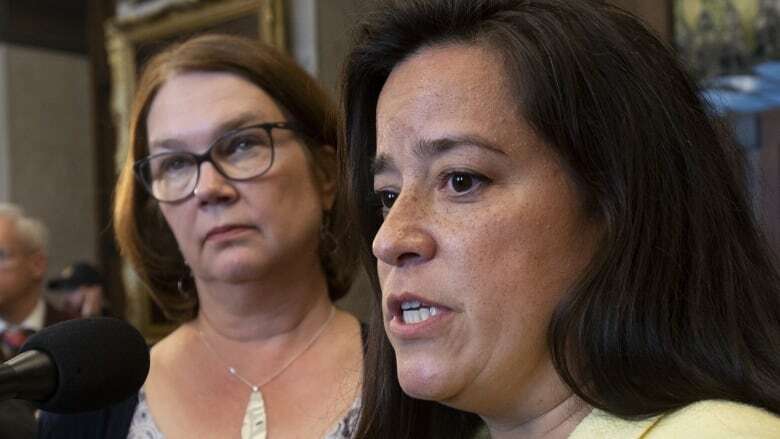 Wilson-Raybould and Jane Philpott both later resigned from cabinet to protest the government's handling of the SNC-Lavalin file. The sources who spoke to CBC News — on condition of anonymity due to the sensitive nature of the conversations — said Wilson-Raybould made clear her desire for staff changes to the prime minister and his staff in a series of conversations in Vancouver in the days before her resignation from cabinet on Feb. 12. Butts was never fired, but he did resign on Feb. 18. He later testified that he never pressured Wilson-Raybould on the SNC-Lavalin file. Wernick announced his retirement last month after intense public criticism of his testimony before the justice committee on Feb. 21 and March 6. Bouchard remains in the PMO. But Wilson-Raybould's wishes went beyond a limited housecleaning in the PMO. Sources said she also sought assurances that her replacement as attorney general, David Lametti, would not overrule Director of Public Prosecutions Kathleen Roussell and direct her to give SNC-Lavalin a deferred prosecution agreement. Wilson-Raybould also wanted Justin Trudeau to admit — publicly, or to caucus alone — that his office acted inappropriately in its attempts to convince her to consider granting SNC-Lavalin a DPA. The intense back-and-forth search for a compromise might help explain why the caucus drama took 54 days — from the first report in the Globe and Mail on Feb. 7 to the prime minister's announcement Tuesday that Wilson-Raybould and former Treasury Board president Jane Philpott were being ejected from caucus. CBC News reached out to Wilson-Raybould Wednesday night and she said she would not comment. However, in an email to CBC News Thursday night, Wilson-Raybould said "I have never and would never seek to interfere with the exercise of prosecutorial discretion by the attorney general of Canada." After Wilson-Raybould issued that statement, CBC news re-contacted the sources for this story. One said Wilson-Raybould raised the demand that the DPP's decision on SNC-Lavalin be respected directly with Trudeau during their conversations in Vancouver before she resigned from cabinet. But, the source said, that condition was not part of the conversations in the recent days leading up to Tuesday's expulsion from caucus. In a statement released shortly after she was pushed out of caucus, Philpott pointed to the lack of an apology from Trudeau. "Rather than acknowledge the obvious — that a range of individuals had inappropriately attempted to pressure the former attorney general in relation to a prosecutorial decision — and apologize for what occurred, a decision was made to attempt to deny the obvious — to attack Jody Wilson-Raybould's credibility and attempt to blame her," Philpott wrote in the statement posted to Facebook. "This isn't about a lack of loyalty. On the contrary, I recommended that the government acknowledge what happened in order to move forward." Kate Purchase, executive director of communications and planning in the PMO, said in a statement to CBC News that Wilson-Raybould never issued a formal ultimatum to the prime minister, adding she would not comment on the details of Trudeau's private conversations. However, the sources said Wilson-Raybould made it clear over the course of many conversations that these were things she wanted done. The list also expanded and evolved over time, with Wilson-Raybould adding new conditions as the talks went on, said the sources. 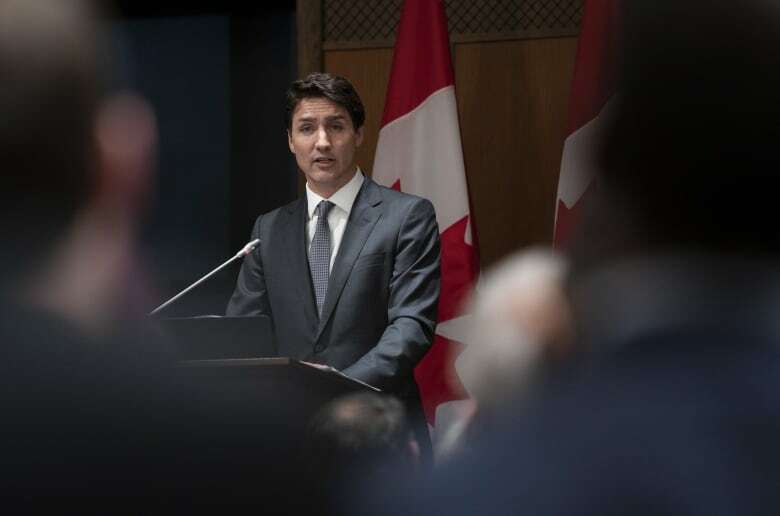 Trudeau and his officials ultimately came to believe that the efforts to end the rift with Wilson-Raybould were futile, the sources said. "We've taken every effort to address their concerns. but ultimately, if they can't honestly say that they have confidence in this team, despite weeks of testimony, face-to-face conversations and phone calls with myself and other members of caucus, then they cannot be part of this team," Trudeau said in front of his MPs Tuesday night. Trudeau and his chief of staff, Katie Telford, were the point people on the weeks of fairly intense engagement with Wilson-Raybould. They scrambled people they believed to be close to Wilson-Raybould and Philpott to negotiate with them. The Liberal B.C. caucus — including cabinet ministers Carla Qualtrough and Jonathan Wilkinson — was heavily involved in reaching out to Wilson-Raybould. Sources say the efforts continued until Monday, the day before the caucus expulsion. But by that point, Wilson-Raybould's release of her secret recording of her Dec. 19 conversation with Wernick obliterated her already fractured relationship with much of the Liberal caucus and made a truce nearly impossible to broker. Caucus was already growing restive and the controversy continued to dominate the public debate and overshadow the Liberal's pre-election budget. Philpott was confronted by anxious MPs at the Ontario caucus meeting two weeks ago. More and more Liberals MPs were going public with their concerns about a lack of trust in caucus, although some also expressed support for one or both of the former ministers. On Tuesday, after consulting regional caucus chairs, Trudeau and senior government members met with Philpott and Wilson-Raybould to tell them they were no longer welcome in caucus. Moments later, Trudeau made his announcement to the national caucus and then to the country.